Gaussian Soldiers is an educational game about row reducing matrices using soldiers. Gaussian Soldiers was made in a day for FuckThisJam. Everything was made by me, Daniel Linssen, except the music which was generated. With the mouse wheel you can clone the selected row. With the left mouse button these clones can be placed in any of the three rows. The mouse wheel can be scrolled up repeatedly to add more clones to the selection, or scrolled down repeatedly to remove clones from the selection (and you can select negative multiples of a row this way). With the right mouse button you can remove any common factor from the selected row. 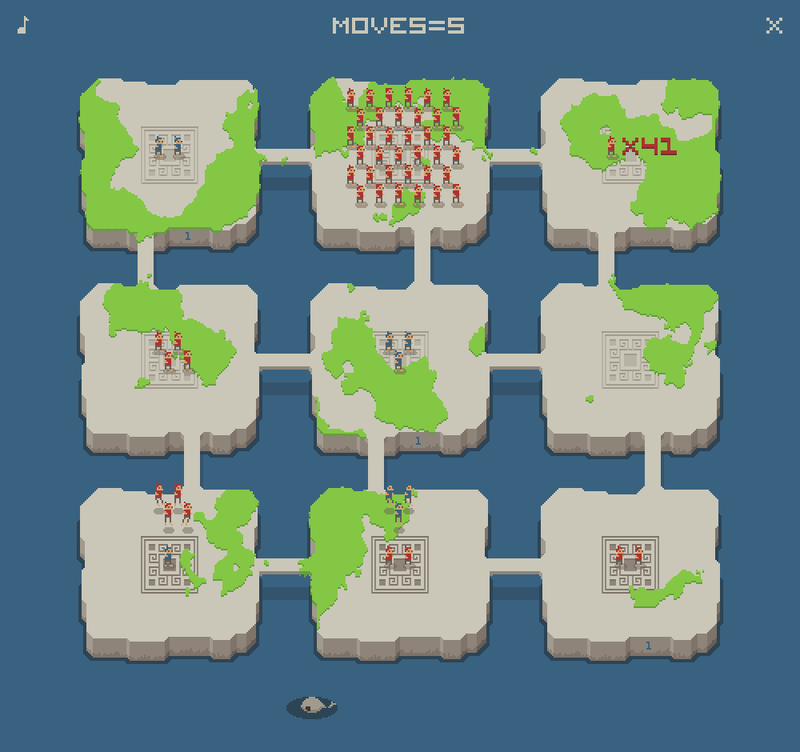 For example, if a row has 4, 0 and 6 soldiers, then right clicking the row will remove the common factor of 2, leaving you with 2, 0 and 3 soldiers in that row. 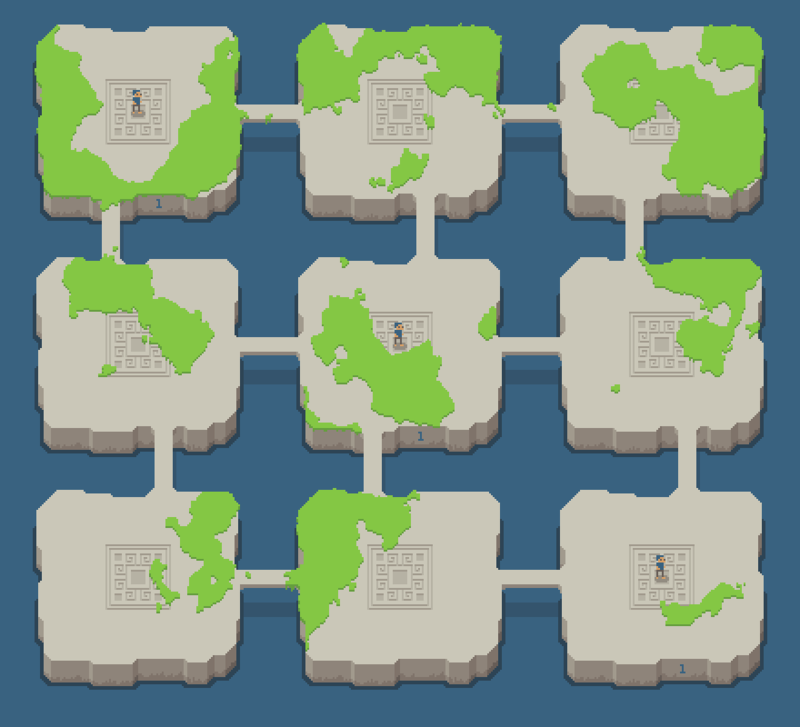 The goal is to end up with one blue soldier on each of the top left, middle and bottom right islands (these islands have a blue "1" written on them as a reminder) and no soldiers on any of the other islands. In other words, it should look like this. Row reducing a matrix is an important concept in linear algebra, and can be used to solve systems of linear equations and find matrix inverses. 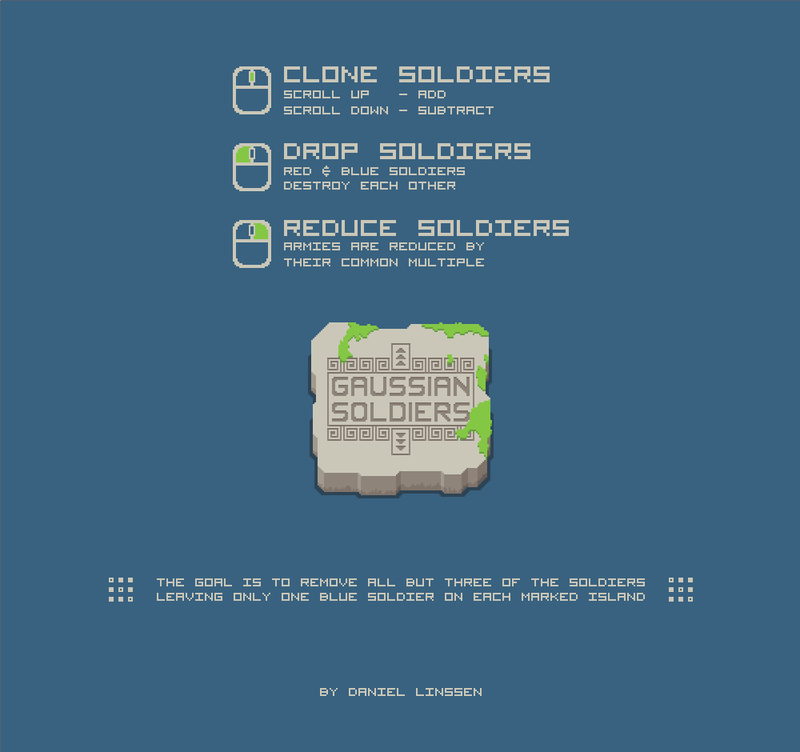 Essentially, Gaussian Soldiers tasks the player with row reducing a matrix into the identity matrix. 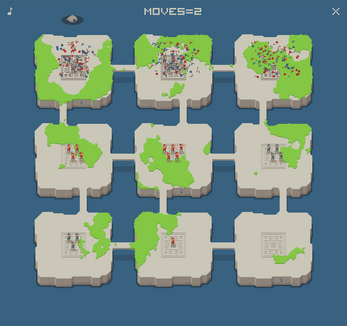 Blue soldiers represent positive integers while red soldiers represent negative integers. Fractions are avoided. While row reduction can applied to a matrix of any size, I felt the concept was best represented by 3 by 3 matrices.